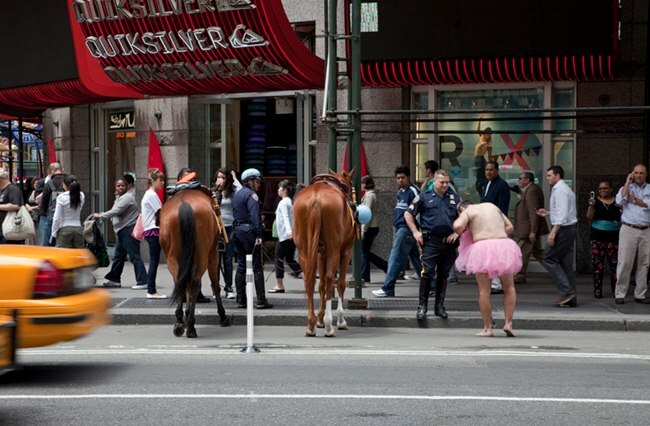 Outtake: “Excuse me sir, are your wearing anything under your tutu”? “Yes Officer, I am wearing my pink shorts that match my pink tutu” 🙂 Times Square. New York, New York. 2010.